I had to start with this mug because it pairs beautifully with the sloth tea infuser – which you actually get for free with the mug! This would make for an amazing gift set to any sloth lover on the planet. It has a fantastic design and it is really good quality. You really cannot go wrong with this cute duo! When you’ve finished your coffee / tea / drink at home, you need one for the road right? 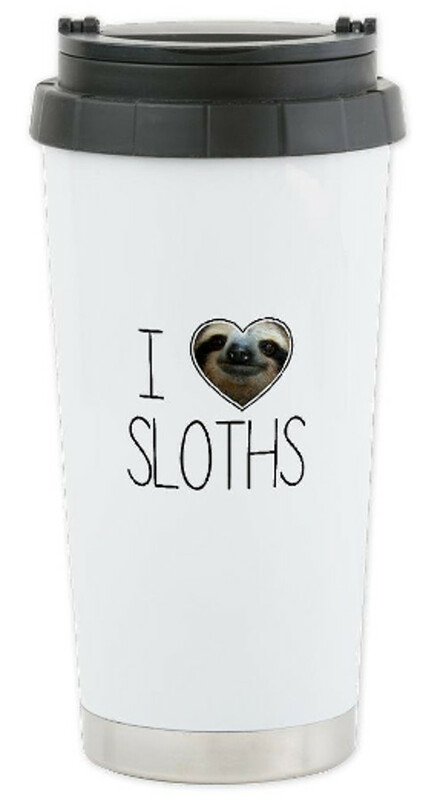 Then you need to get a hold of one of these sloth travel mugs! The sloth is cute and the travel mug is very well made. 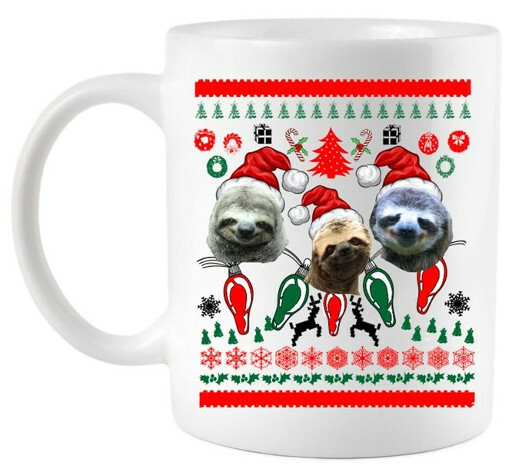 It wouldn’t be a complete list if we didn’t include a sloth Christmas mug, would it? Especially with it being this close to December. The cute little sloth faces on the cup will bring a smile to your face every time you take a sip! It’s safe in the dish washer and microwave, so don’t worry about ruining the design! 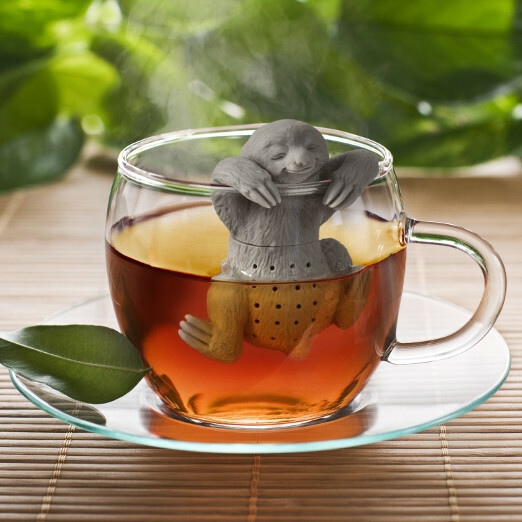 This amazing transforming sloth mug is a real treat for those of you who want to hide your love of sloths! 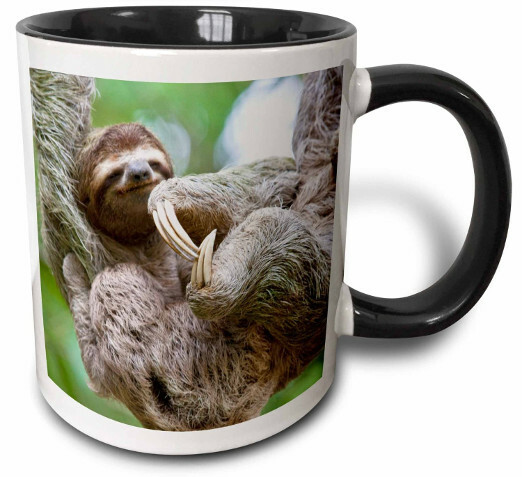 What looks like an ordinary black mug will magically transform into a white mug with a cute picture of a sloth! It’s a perfect gift and you’ll draw peoples attention with this mug for sure when you show off the trick! Sometimes simplicity is the best! 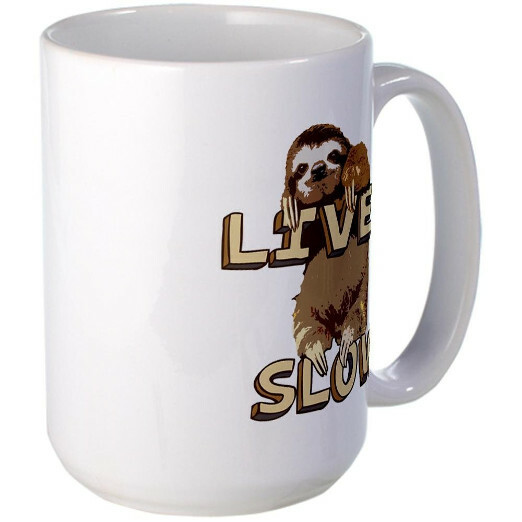 This sloth mug features a unique sloth design on the front with the famous slogan of “live slow” – something we all wish we could live by! There’s nothing bad to say about this mug… It’s simple, durable, and perfectly safe to microwave and stuff in the dishwasher. 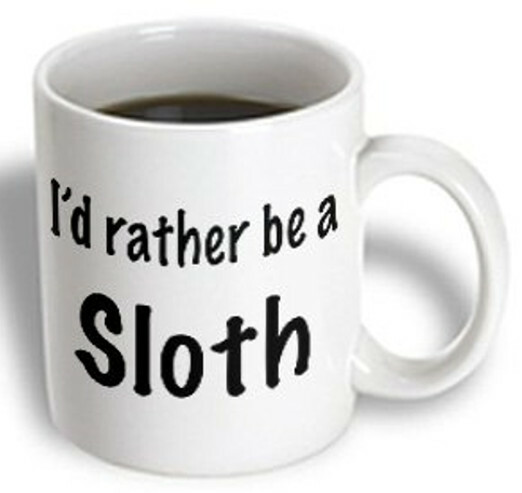 Another simple sloth mug… probably best for around the office where it’s a bit more suitable. Unless your work is happy with you flashing pictures of sloths to everyone! It’s simple, it’s elegant, and the saying hits the truth. 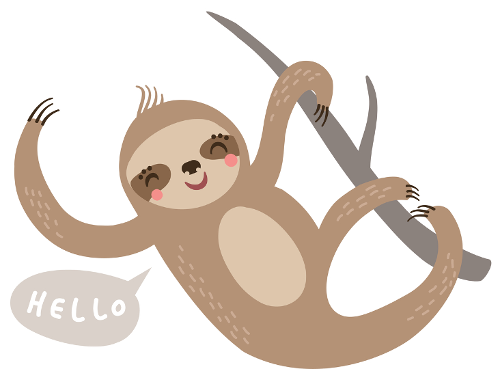 We would all rather be sloths. Psst! – There’s also a transforming hot water option for this mug as well! 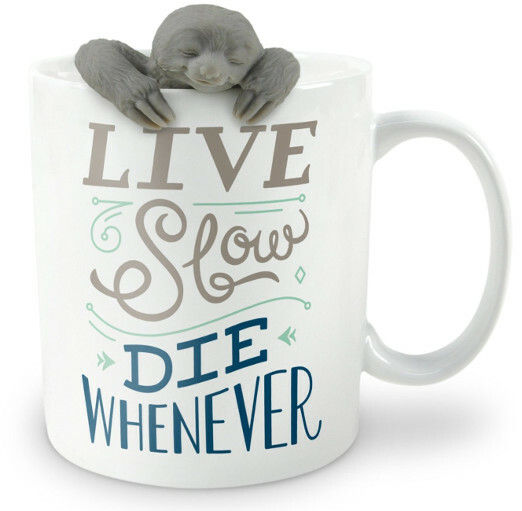 This adorable and hilarious sloth mug is perfect for a sillier gift to yourself or a friend. 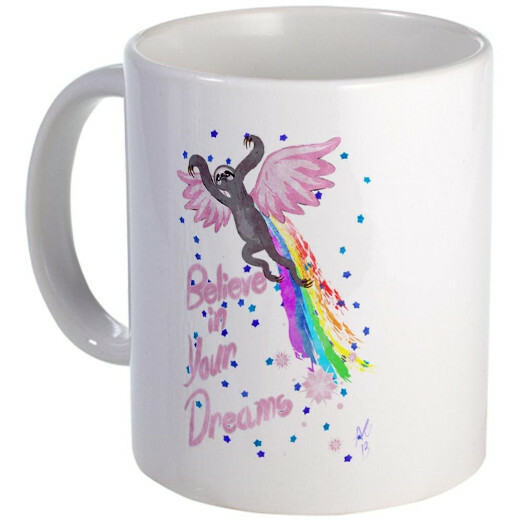 The design is unbelievably cute and lets be honest… Who doesn’t want to drink out of a cup with a flying sloth with pink angel wings, farting out a rainbow? 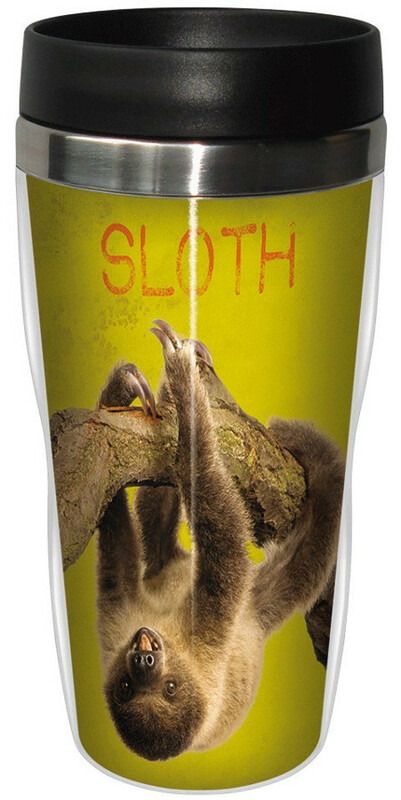 Another sloth travel cup to add to your collection! This one is much less attention drawing than the other one on this list – if that’s your style, go for it! This mug is simple, cute and does the job perfectly. 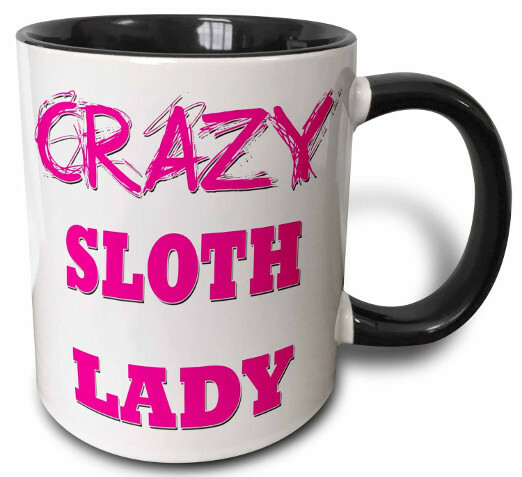 This stylish mug features a perfect girly design for the true sloth lovers! Only get this if you love sloths more than the crazy cat lady loves cats from The Simpsons! If you like the transforming cups like the ones above, there’s also an option to get it in that! What did you expect? There’s always going to be a goonies sloth pun gift in these articles – deal with it! This mug is well built and features a unique design. It’s perfect for a gift to some one you can poke some harmless fun at! 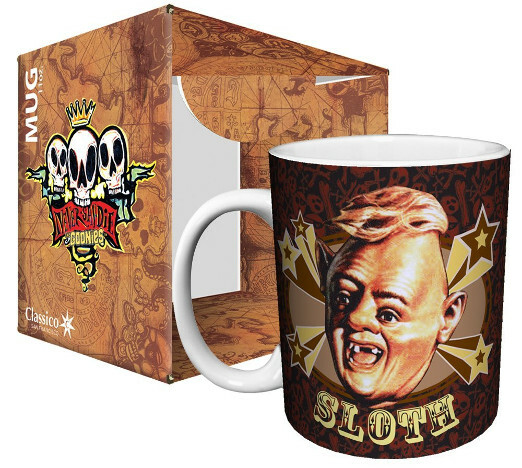 Which sloth mug will you be drinking out of for the rest of your life?